The following is an exclusive excerpt from Ed Klein's latest book "All Out War: The Plot to Destroy Trump" which launched Monday. This highly anticipated new release includes multiple never-before reported information about the Left's plot to take down the president of the United States. Before he drew up the final version of his memo, Rosenstein asked Andrew McCabe, the deputy director of the FBI, to come to his office at the Justice Department. He told McCabe that he was thinking of recommending to the president that Comey be replaced, but that before he went ahead with such a major decision, he wanted McCabe’s candid opinion of Comey’s handling of his job. McCabe was known among his colleagues at the FBI as both highly intelligent and highly ambitious. He could also, they said, be slippery. When his wife, Dr. Jill McCabe, ran an unsuccessful campaign for a seat in the Virginia state senate, she received a $700,000 contribution from a political action committee controlled by Virginia Governor Terry McAuliffe, a close Clinton ally. McCabe, who was deeply involved in the Hillary email investigation, failed to disclose his conflict of interest. Asked why he left out that information on his financial disclosure forms, a McCabe spokesman said, “The form does not require that an employee spouse’s salary be disclosed.” Of course, the $700,000 wasn’t a salary; it was a political contribution from a major Hillary confidant. McCabe would later testify before a Senate committee that he held Comey “in the absolute highest regard.” But that was not what he told Rosenstein during their secret meeting, which has not been reported until now. McCabe had long wanted Comey’s job. He believed that he had earned it, and he was willing to stab his boss in the back to get it. He told Rosenstein that Comey deserved to be fired. 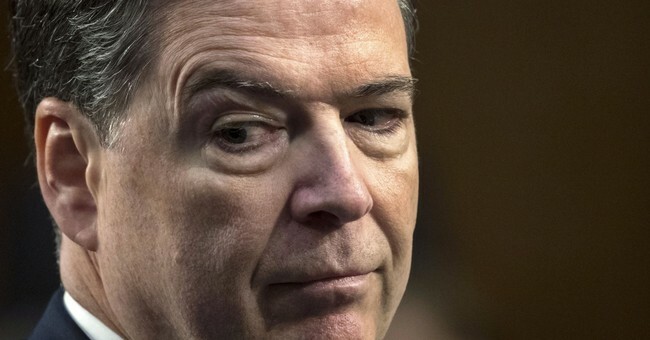 When Comey learned about the Rosenstein-McCabe meeting from a close friend at the Justice Department, he was devastated. “Jim thought Andy was loyal, and he trusted him implicitly,” said a source who discussed the matter with Comey. “He was shocked to learn that McCabe met with Rosenstein in secret and never told him about it. “I wouldn’t say that Andy and Jim were great friends, but they were certainly very collegial, worked together all the time, and put in very late hours together,” the source continued. “They would have a drink after work occasionally, go to the Capitol Grill for dinner. They’d put a hand on each other’s shoulder when they talked, that sort of thing. “In his meeting with Rosenstein, McCabe attacked Jim’s decision making, particularly with regard to the Hillary Clinton investigation. He told Rosenstein that Jim’s judgment was seriously flawed when he made the decision not to prosecute Hillary—a decision that should have been left to the prosecutors at Justice. McCabe also said Comey had politicized the Clinton email case beyond resurrection, and that he had been out of bounds when he went on television and gave a news conference about a suspect [Hillary] whom he was simultaneously clearing of criminal activity. “McCabe also told Rosenstein that Jim’s personal conduct was inconsistent with acceptable behavior for a director of the FBI. He cited as an example Jim’s late-night marathon interrogation of his staff, and his lavish steak dinner while he dined alone and listened to Brahms. “Naturally, Jim felt betrayed. He knew that he’d put some noses out of joint in the bureau as a result of his gruff handling of the senior staff. But he thought he was doing it for the good of the bureau, and he expected that the people he roughed up would understand that it wasn’t personal.